This programme has an emphasis on new experiences and fun. 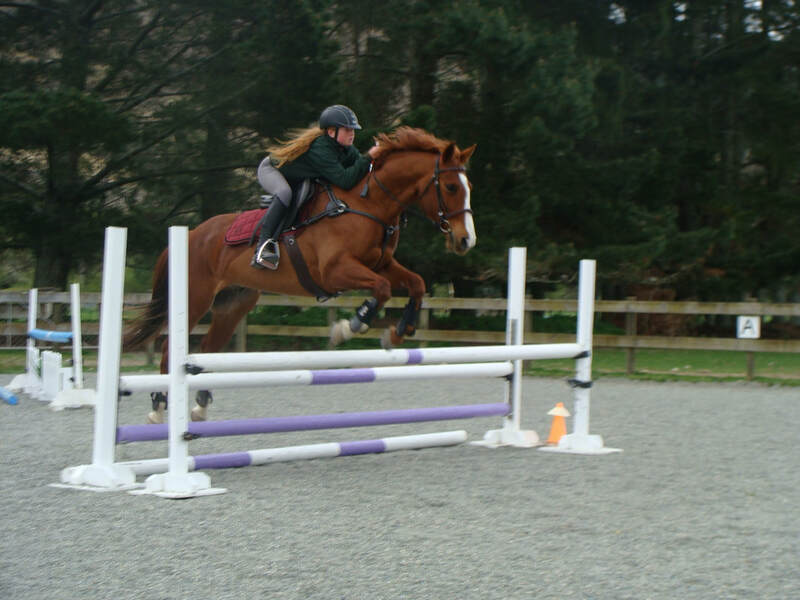 It is open to riders with all levels of experience, from total beginners to more experienced riders, we have mounts to cater for all. This includes a complimentary transport service back to town at the end of the programme. Payment to be made by internet banking prior to the day or by alternative arrangement. A seven hour 'hands-on' programme. 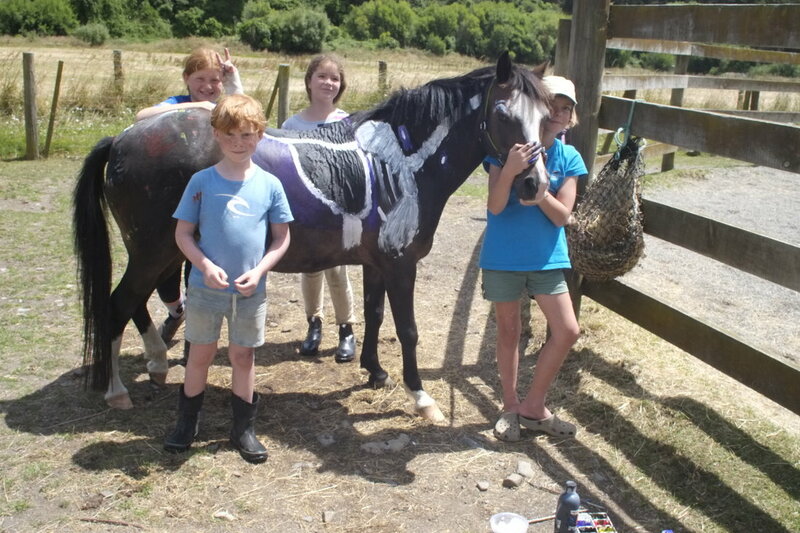 Children are able to get on and off their ponies/ horses at will and may also change mounts during the day's activities. Some mounts are able to be ridden independently and others will require more supervision for beginners. There is no age limit but we would expect children under 7 years to have some form of supervision (either parent/ guardian/ older sibling) to enable them to be safe when unmounted. 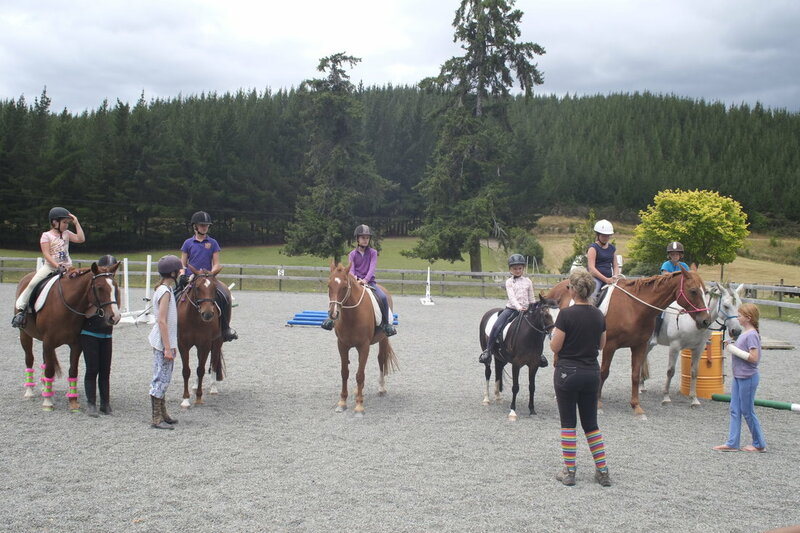 We have a high ratio of care during the programme and we limit the number of riders each day to ensure a high degree of supervision and safety. All camps begin at 10am on the first day and finish at 4pm on the final day. All food, from lunch on the first day until afternoon tea on the final day, is provided. All safety equipment is provided. Drop off service into Nelson is available on the final day. Please enquire on booking if you are interested in this complimentary option. 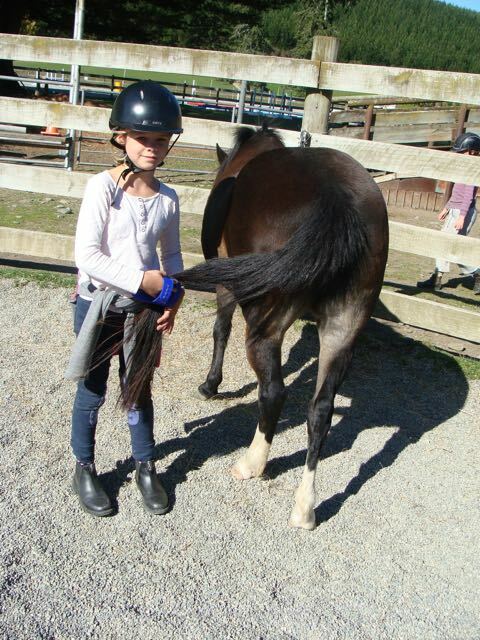 Bring your own horse/pony or ride one of ours! 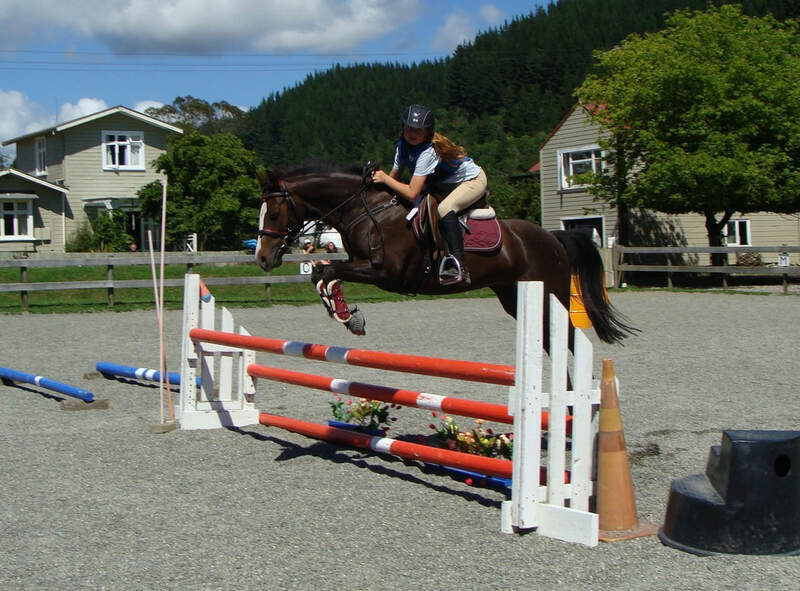 This clinic is for riders with their own horses/ponies who are CONFIDENTLY jumping courses over 60cm. You may either stay here or take horses home each evening. This will be held in the summer months!!! This course begins Saturday at 10am and finishes on Monday at 4pm. All food for the weekend is provided.